Now firmly established in its third edition, Tast a La Rambla once again takes over the lower stretch of the city’s most touristy avenue with a gourmand’s dream team of food and drink. With eighty chefs from fifty of the city’s best restaurants – from Michelin-starred names like Paco Pérez, Nandu Jubany and Carles Abellan to local favorites such as Dos Palillos, Rasoterra and Mano Rota, together with sweets from the likes of Christian Escribà and Oriol Balaguer – foodies will find so much to love they won’t know where to start. Each stand serves up just one small dish for €4, with an eminent selection of Mediterranean cuisine and tapas, but also plenty of international fare like bao Chinese dumplings (Kao Dim Sum), ceviche (Espai Kru) and burgers (El Filete Ruso) plus a new section with sandwiches. The neighboring Arts Santa Mònica museum is hosting free workshops over the four days and there will be cooking demonstrations, talks and live music taking place on a new stage (Escenari Estrella Damn) set up this year. Over a dozen restaurants in the area will also be offering a tapa together with a Cinzano vermouth cocktail for just €4.50, with a jury awarding the Best Tapa on Sunday. 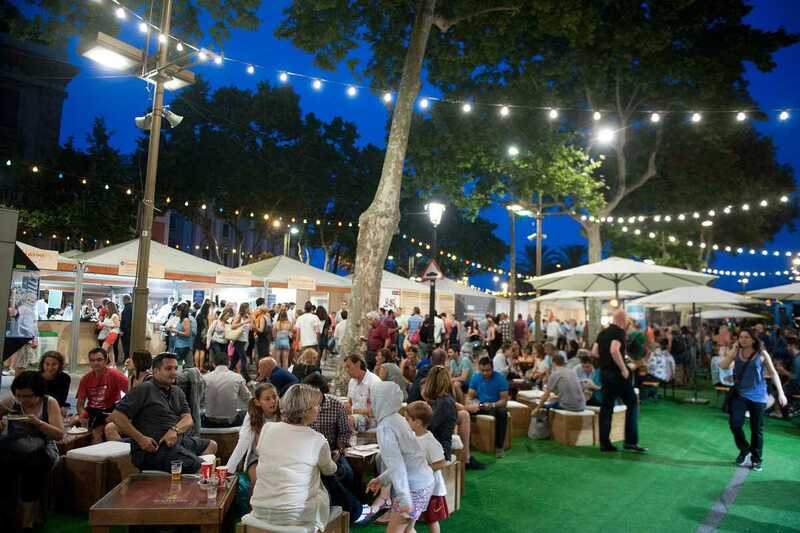 With warm weather and a full complement of cold beverages (smoothies, iced tea or coffee, beer, cava, vermouth and more), the event is sure to draw plenty of locals to La Rambla – a rather rare and welcome sight indeed.